Dinsmore & Shohl LLP has added Lesa Lawrence as associate of counsel and Melissa Spievack as an associate to the firm’s Cincinnati office. Spievack will practice out of the tax, benefits and wealth planning group and Lawrence will practice out of the immigration group. 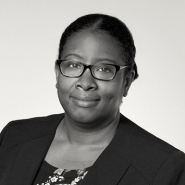 Prior to joining the firm, Lawrence worked at immigration firms in Washington D.C. and Toronto, Ontario, where she managed high volume global and U.S. immigration caseloads. She drafted complex business visas and immigration petitions and liaised with foreign counsel for out-bound immigration. Lawrence has also conducted I-9 compliance reviews and guided clients through Notice of Inspections and site visits by the U.S. Citizenship and Immigration Services’ Fraud Detection and National Security Directorate. After receiving her JD from New York Law School, Lawrence went on to George Washington University Law School and received her Masters of Law. She is a member of the American Immigration Lawyers Association and on the audiovisual committee for the Global Migration Section. Spievack was associated with two large international law firms in New York and a trusts and estates boutique firm in New Jersey, prior to joining Dinsmore. Her experience includes structuring and implementing estate plans for moderate to high net worth individuals. Spievack has also counseled cross-border clients on pre-immigration planning and foreign and domestic trust issues, as well as charitable organizations on all aspects of administration and IRS compliance. Spievack received her J.D. from the University of Pennsylvania Law School and received her A.B. in English from Princeton University.